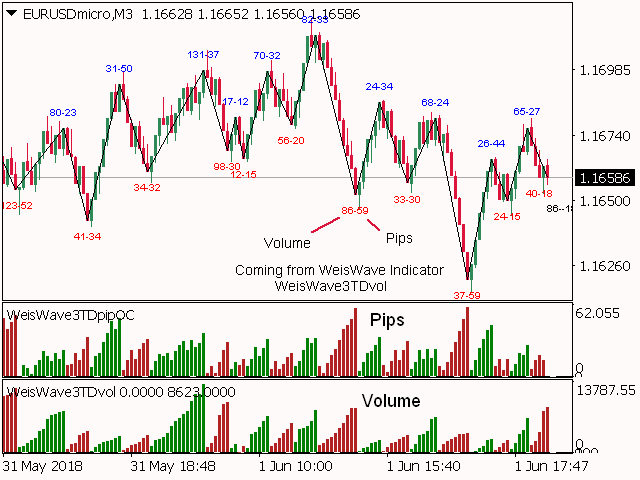 This is a Weis Wave Pip indicator which is based on Richard D. Wyckoff theory but instead of plotting volume waves it plots pip waves. It works in all time periods and it can be applied to any market. 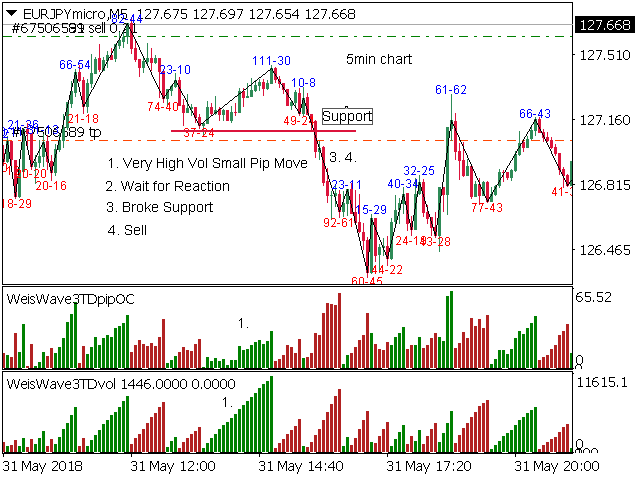 This indicator is adding the pips (open to close) of the corresponding price waves and draws a cumulative histogram. Each price wave is moving in a specific direction up or down until it reverses. 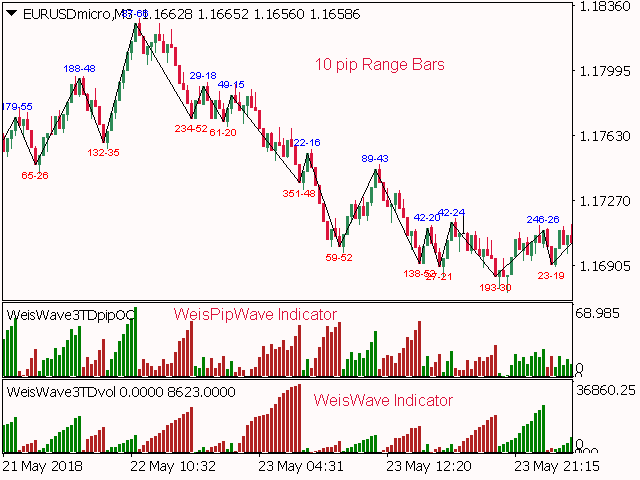 In order for the indicator wave to reverse in the opposite direction, the price must exceed the number of Points (pip*10) set in the parameters of the indicator. Therefore, the last wave repaints but the theory behind this trading method is forecasting where the market will go by reading mainly the previous waves. Combining this indicator with the "Weis Wave with Alert" indicator makes it much easier to visualize what is happening in the market. 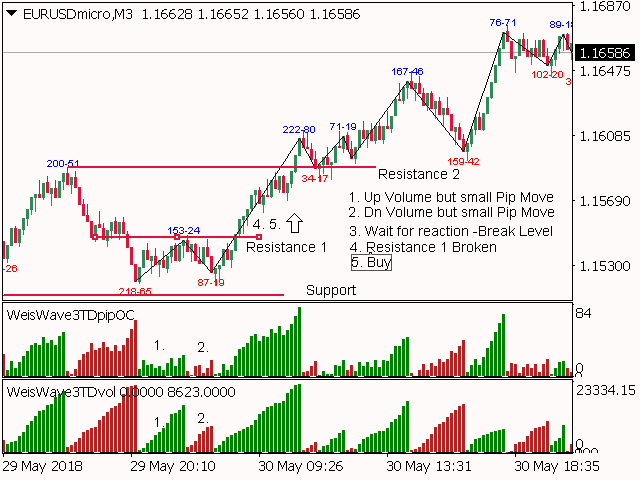 Trend trading: trade with the trend on retracement level if the volume and pips of the retracement wave are insignificant. Too much volume but not significant pip wave move: Something is going to happen, wait for the price to break a significant level and follow it. 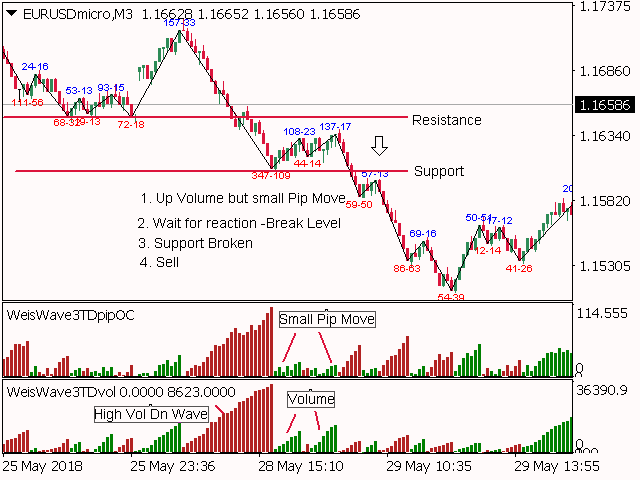 The information displayed by the alert function are: the pair, a message "High Dn Pip Wave" or "High Up Pip Wave" and the time. Negative_style: Changes Histogram of down waves to negative. Этот индикатор показывает что угодно но не истинное движение на рынке. Ловко перерисовывает свои значения. Added Negative_style: Changes Histogram of down waves to negative.